This add-in scans your current sheet for broken external references. All found links are displayed on the add-in pane, so you can comfortably review them and open a reference source right away. 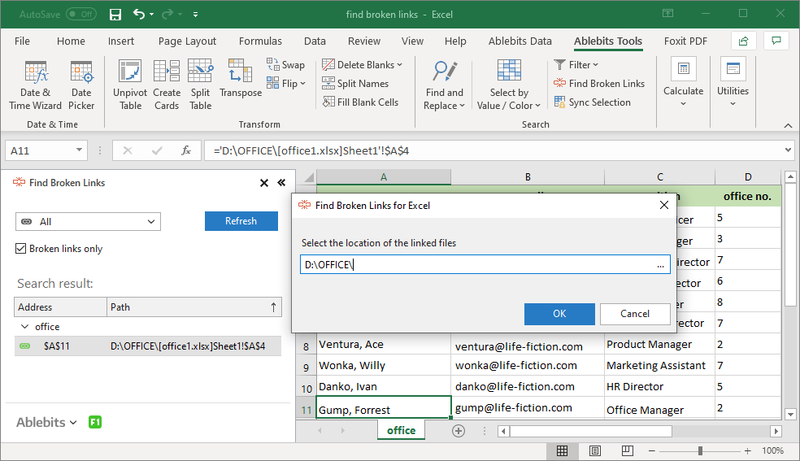 You can also edit and fix your Excel links directly on the pane to guarantee flawless master worksheets. 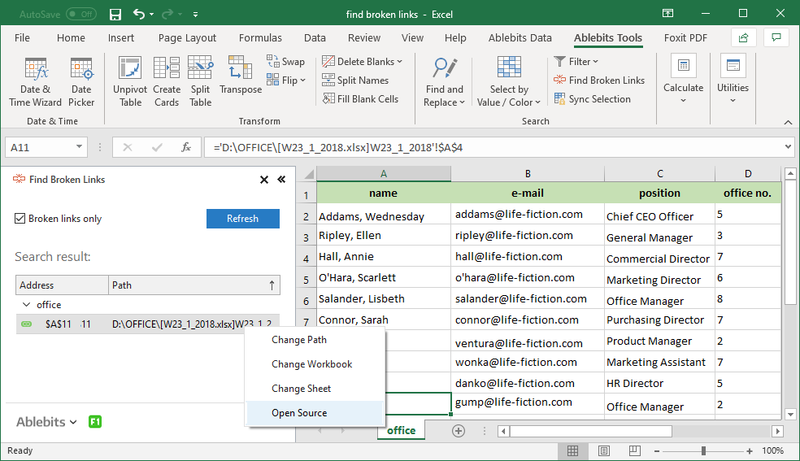 Find links to other Excel files The add-in will check references to other Excel workbooks and display a list of sources and linking cells. 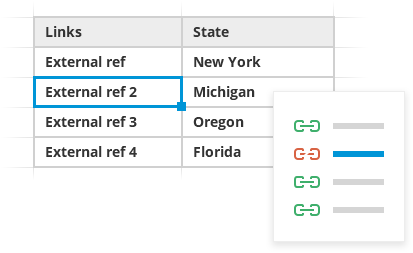 Fix broken links Edit the reference path on the add-in pane and it will be automatically fixed in all linking cells. 60+ professional tools. No garbage. What is Find Broken Links and why do I need it? With Find Broken Links for Excel you can easily check your worksheet for links to other workbooks, edit and fix them. How to fix broken links in Excel using this tool? Open your worksheet and click the Find Broken Links button on the Ablebits Tools tab. Check Broken only if you want to see only invalid links. To get a list of all links, click the Find links in this workbook button. The found links will be shown on the add-in's pane including the reference path and the linking cell or cells. To fix the reference, right-click it, select Edit, and enter the correct worksheet name or cell name. To change the reference source (linked workbook), click the ellipsis button next to the workbook name, and then choose the right file. Can the tool check my file for hyperlinks and links to other sheets in the same workbook? No. 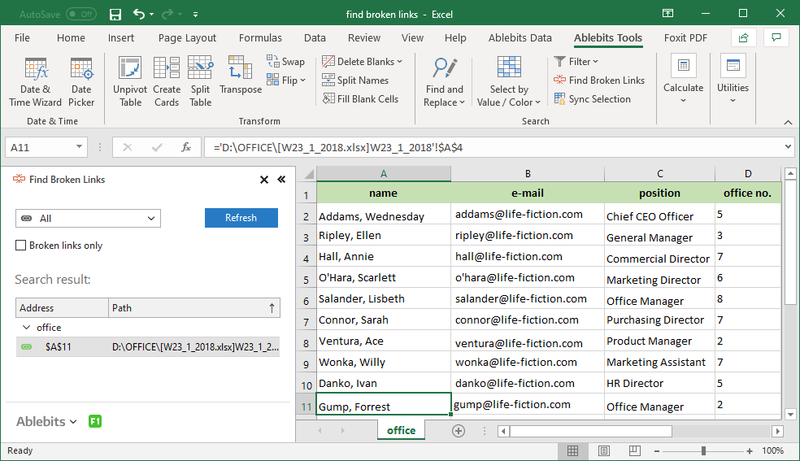 The tool finds only references to other Excel files. Can I open the reference source right away? Yes. For this, just right-click the reference on the add-in pane and select Open Source.